After two critically acclaimed albums and a rapidly growing fan base from coast to coast, Nova Scotia rock band The Stanfields have come full circle with their third album, For King and Country. Before delving deeper into the group’s new record, it is as good of a time as any to look back upon the kind of year that it has been for the band. Earlier this month, The Stanfields walked away from Nova Scotia Music Week with hardware for Group Recording of the Year (for their sophomore record Death & Taxes) as well as the coveted Entertainer of the Year Award. This past spring at the East Coast Music Awards, the group won the Fan’s Choice Entertainers of the Year Award in addition to Group Recording of the Year. 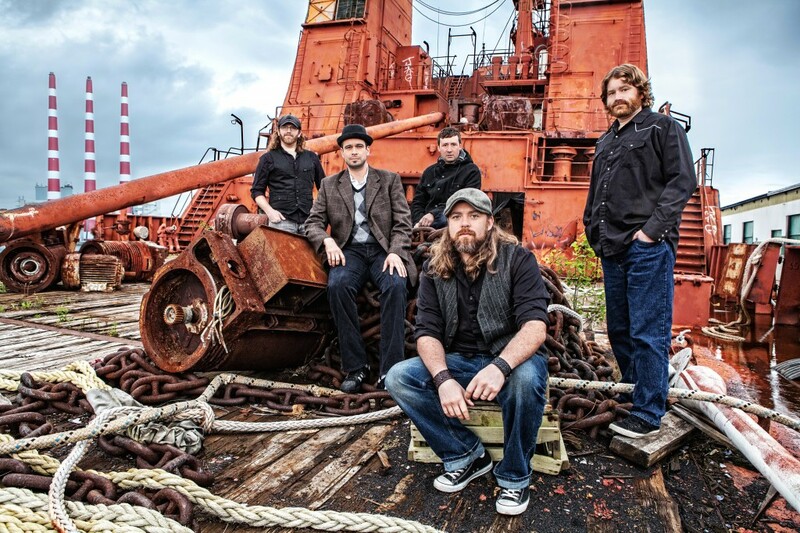 Not surprisingly, The Stanfields, performing at Moncton’s Tide & Boar Gastropub on Wedsday, Dec. 4, has largely made their name based upon their energetic, sweat (and beer) soaked live shows. And though the dreaded words “…now we are going to slow things down some” might make some fans cringe, it is not that radical of a step for this band. The seeds for For King and Country were actually planted long ago. Before the band starting tearing up the bar scene across Canada, The Stanfields started as an acoustic act in vocalist Jon Landry’s apartment. Landry says that making the record couldn’t have been any easier. The group retreated to a cottage where cell phone service was non-existent. With nothing but their instruments, their voices and their songs, he says the experience worked on a number of different levels. Although Jon jokes at being relieved their new album hasn’t meant career suicide for the group, the group’s interpersonal dynamics play an important role with moving forward with such projects. Rather than allowing themselves to be caught up in trying to capture the perfect take, Landry says getting the emotion behind the songs is always the more important matter. “Any band can get into a situation in the recording studio where making music starts to feel like data entry. You might get a perfect take but there is no soul in the song,” Landry says. When: Wednesday Dec. 4, 10:00 p.m.